Last month, the Historic Resources Management Branch had the opportunity to attend the National Trust for Canada’s annual conference, right here in our home province. Held October 22-24 in Calgary, the conference’s theme of “Heritage Energized” explored how heritage energy can turn places around, empower people and create opportunities. Preceding the conference was Moh-Kins-Tsis: Calgary Indigenous Heritage Roundtable, a day-long session bringing together Elders and knowledge keepers with practitioners in the fields of heritage, archaeology, architecture and planning, to discuss how to protect Indigenous heritage sites in the urban environment. Moderators Lorna Crowshoe (Aboriginal Issues Strategist, City of Calgary) and Makiinima—Roy Fox (Former Chief of the Kainai Nation) set the tone for the day by establishing the room as an “ethical space”—where groups with contrasting world views can come together in respectful, cooperative and collaborative ways. The audience then had the special opportunity to learn about Blackfoot ways of knowing from Elders Wilton Goodstriker, Herman Yellow Old Woman, Bruce Wolf Child, Andy Blackwater and Dr. Reg Crowshoe. These discussions were expanded upon by a number of professional and academic presenters. 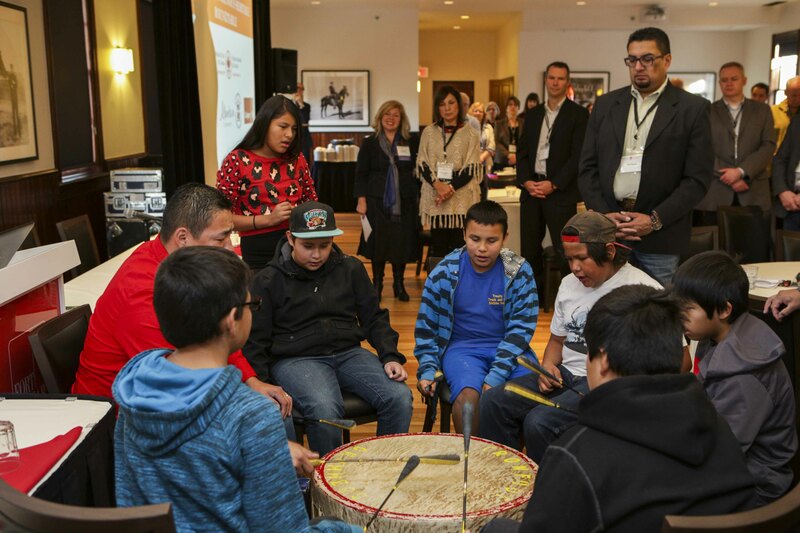 The Crowfoot Young Warriors kick off Moh-Kins-Tsis: Calgary Indigenous Heritage Roundtable with drumming and song. Photo credit: Pinpoint Photography, courtesy of the National Trust for Canada. Events are taking place across the province this week in honour of Metis Week, from November 15-21, 2015. This week provides an opportunity to celebrate Metis people, their culture and their contributions. Louis Riel Day was celebrated on November 16th, the date that marks the anniversary of Riel’s death in 1885. Riel was a Metis leader who fought for the recognition of Metis people and their rights. He is also credited as the founder of the province of Manitoba. 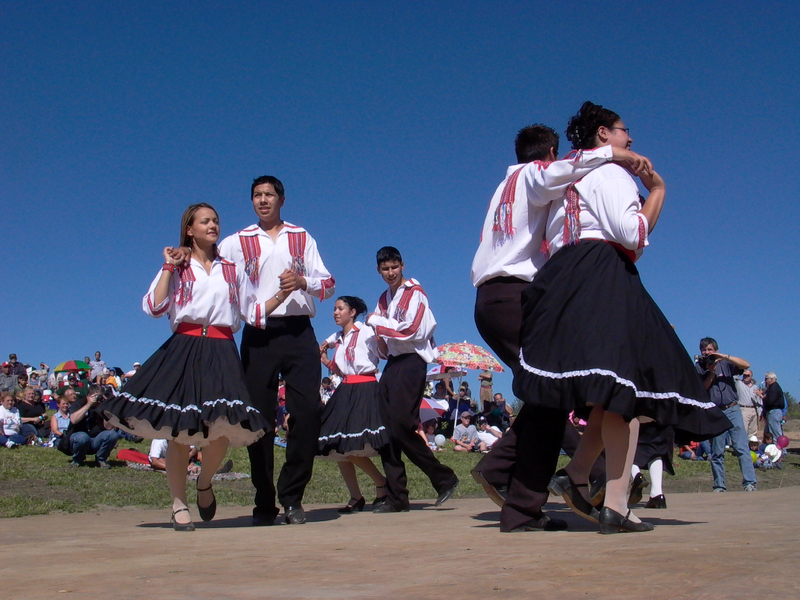 Commemorations and events took place in both the Edmonton and Calgary areas. Many other events are taking place across the province to celebrate Metis week and it’s not too late to take part! For a full listing of events, click here. Canada is in the midst of marking the centenary of the Great War of 1914-1918. The war which engulfed the Dominion of Canada was to have dramatic effects on the young, barely decade-old province of Alberta. By 1914 Alberta boasted a greatly expanded population of 470,000 of whom more than 49,000 served in Canada’s armed forces. Of that number over 6,000 died and another 20,000 suffered non-fatal casualties.